WINNIPEG - Some aboriginal people who were adopted into white families during the so-called Sixties Scoop say it's their turn for reconciliation and are calling for a formal apology from the federal government. Dozens of adoptees gathered in Winnipeg on Monday to tell their stories — many for the first time — and figure out how to get justice. Coleen Rajotte was taken from her Cree community in Saskatchewan when she was three months old and raised by a Manitoba family. Adoptees were robbed of their real families and feel someone has to be held accountable, she said. "If someone came into your home today, took your children and shipped them to the United States and around the world, we would want answers," she said. "That's what we as adoptees are asking for. Someone has to take responsibility for this." From the 1960s to the 1980s, thousands of aboriginal children were taken from their homes by child welfare services and placed with non-aboriginal families. Many consider the adoptions as an extension of the residential school system, which aimed to "take the Indian out of the child." Rajotte said she was lucky enough to be placed into a loving home, but she lost her language, her culture and her connection to her ancestral home. When she recently went to the home she would have grown up in had she not been adopted, Rajotte said it was overwhelming. "I was physically ill for days just trying to process all of that," she said. 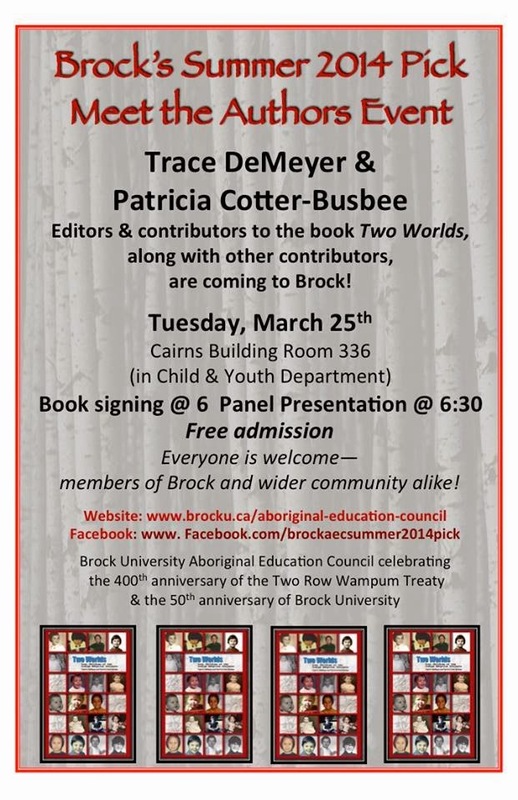 But while residential school survivors have had a formal apology and are the subjects of the Truth and Reconciliation Commission, adoptees haven't been formally recognized. "Personally, I would like to see some kind of formal apology to all adoptees that were taken from their homes," Rajotte said. "That's a lot of children — 20,000 children across Canada." 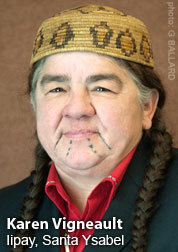 A spokeswoman for federal Aboriginal Affairs Minister Bernard Valcourt said there would be no comment. "As this case is currently before the courts it would be inappropriate to comment further," she said in an email. A class-action lawsuit launched by some survivors in Ontario in 2009 is slowly making its way through the courts. The lawsuit was certified, but Canada recently won leave to appeal that decision. Manitoba Aboriginal Affairs Minister Eric Robinson said it's time adoptees were given the same opportunity for reconciliation as residential school survivors. Some adoptees were put with families where they were treated as farm hands or subjected to horrific abuse, he said. "It's not an easy thing to talk about the hurts that many of them endured as children, not knowing who they were, being a brown face in an all-white school as an example," said Robinson, a residential school survivor who organized the two-day gathering. "Those things are very difficult to talk about in this current day but they have to be addressed." Those adoptees at the gathering hope to emerge with a strategy for recognition and a sense of what supports they need to heal, he said. "Compensation no doubt will come up," Robinson said. "There's got to be a certain degree of accountability by governments." 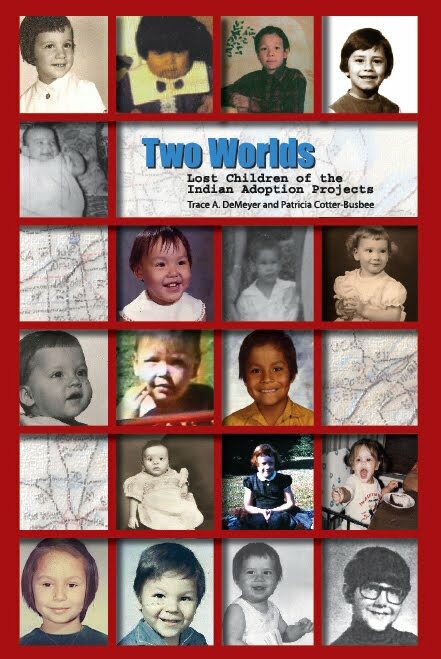 TWO WORLDS: LOST CHILDREN OF THE INDIAN ADOTION PROJECTS, ISBN: 978-1479318285, Trace A DeMeyer and Patricia Busbee, editors, Blue Hand Books, 2012, paperback on Amazon and ebook $6.99 available for all devices. 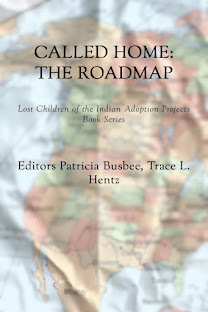 TWO WORLDS: Lost Children of the Indian Adoption Projects, is classified as an anthology by the co-editors Trace DeMeyer and Patricia Busbee. The published book, however, exceeds any and every expectation of this label. It not only offers an avalanche of information on the book's very pressing topic, but it includes a multitude of written testimonies showing the ills caused by decades of governmental enforcement of Indian Adoption Projects. Trace DeMeyer, co-editor, journalist, and former editor of THE PEQUOT TIMES, successfully brought this issue forward in ONE SMALL SACRIFICE, published in 2009. It was a heart wrenching tell-all memoir of the author's own life. We followed the writer along her path of trying to find answers to a lifetime of questions. Now, adoptees DeMeyer and Busbee have succeeded, as co-editors, in bringing together a circle of like souls, "Lost Birds" who have spent their lives wondering if they would ever feel true warmth and belonging. 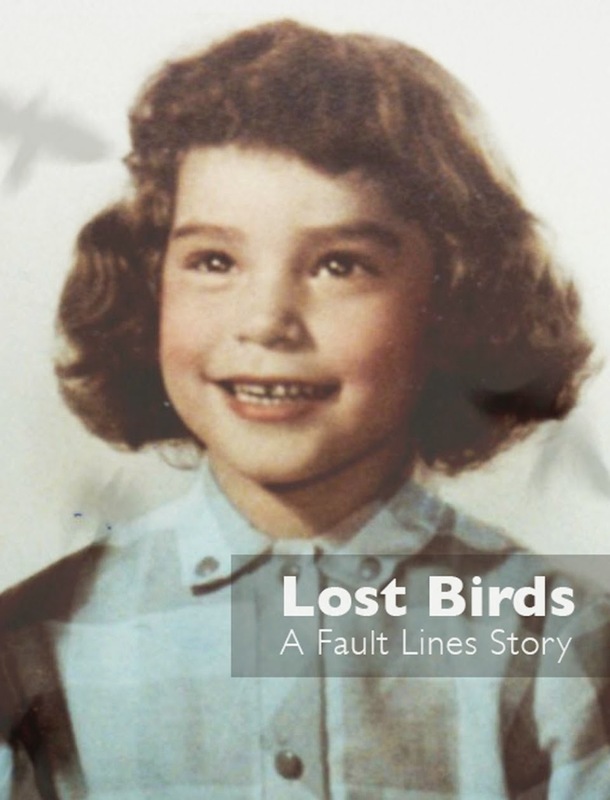 "Lost Birds" of America and Canada have shared their despair with written contributions in excerpts of books, papers, poems and stories on the topic. One most jolting fact, found in the publication, casts a shadow on the persistent governmental use of Trans-racial Adoption. Tribal methods of taking care of their own children, kinship, have always been part of strong cultural traditions. It is all the more astonishing to read: "One quarter of all Indian children were removed from their families and placed in non-Indian adoptive and foster homes or orphanages, as part of the Indian Adoption Projects." Yes, there is great poverty clouding over many tribes which may, for those who support adoption, help condone the practice of taking Indian children away from tribal families to place them in a more economically adjusted environment. Most adoptees did have access to formal education, but there are also success stories of tribal supported college students. What about rituals and lessons traditionally learned in tribal culture, which could not be passed down to children and grandchildren? What could these generations of children have been able to offer their tribal communities, if their nurturing had been able to continue within their tribal culture? Patricia Busbee clearly poses the alternative to trans-racial adoption. The alternative of governmental planning and financial support of Indian and First Nation child care would have actually been the easier path to follow. Those who seek answers to the many baffling issues surrounding Indian Adoption Acts will become well-versed, within the pages of the anthology, on the history of these acts that were forged under well- known efforts of the country's acts for Assimilation. As a special bonus, the co-editors have presented specifics for viewing problems suffered by First Nations of Canada. We find that a Canadian survey actually focused on families and their problems, after the removal of their children by provincial child welfare authorities, from the late 1960s to the early 80s. The six-month study report was compiled by Native Child and Family Services and titled OUR WAY HOME. 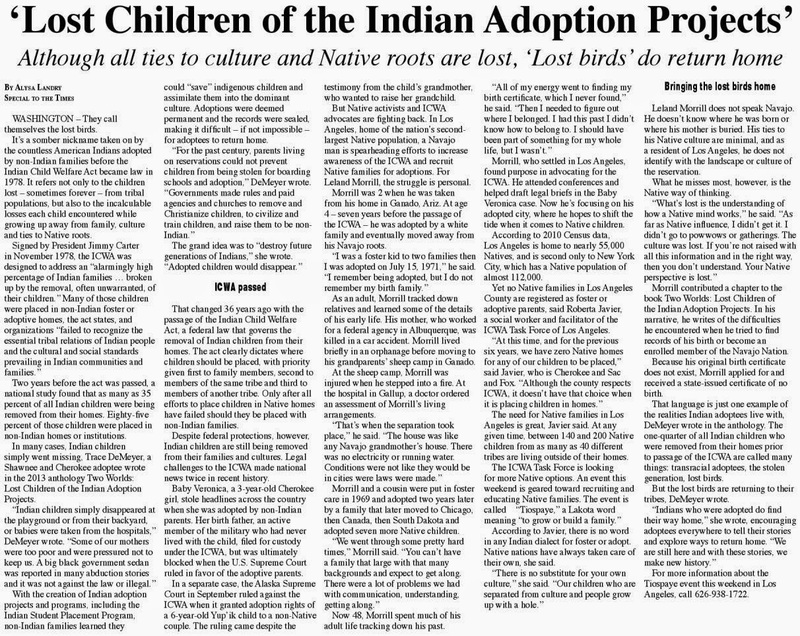 The staff writer of "WINDSPEAKER" magazine, Joan Black, reports that the survey not only shows effects of adoption and foster care on Indian adoptees. "It also identifies a variety of obstacles that Aboriginal people face in trying to re-establish family ties, and sets out a four-phase strategy aimed at easing repatriation for those who desire it. "(331) The question is, will they and other American adoptees, be given necessary documents for proving their identity? Natives and First Nations of Turtle Island are the only people required to prove their ethnicity. With modern day research, and access to more adequately translated chronicles and diaries, written by early explorers, it is clear that Native People of the New World were always very diverse in physical features as well as cultural traditions. DeMeyer's article on "Blood Quantum" is truly an eye opener as it confronts the core of ethnic prejudice which has been nurtured and continues to stifle North America today. Native people often say, "It was never easy being Indian!" Thus, we remember other aspects of ethnic intrusion. The scope is wide: from Indian slavery and breeding, followed by official record keeping written by unknowing and illiterate census takers; to the confines of Indian schools; and certainly of course forced or coerced Indian adoption. All of these intrusions have remained under a cloud of constant propaganda favoring assimilation. No, it has not been easy being Indian! 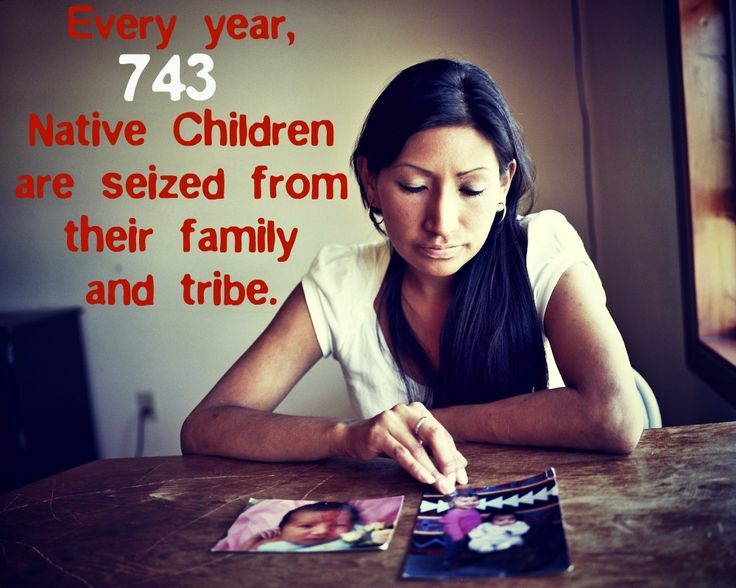 With the disappearance of children from our tribes, generations have been lost and therefore, in some cases, tribal existence has become threatened. Some Lost Birds have been able to find their way home and have been accepted by their tribal families. Others, some still not aware of their tribal bloodlines, continue to search for a place of belonging and sovereignty. The anthology answers many questions, but it also presents the urgency for those in power to recognize failed concepts. The book is in a total thumbs-up category and highly recommended. Dr. Raeschelle Potter-Deimel received her PhD from the University of Vienna in Austria in Cultural Anthropology and lectures on North America and Native American topics. An independent researcher and Fulbright scholar, Dr. Potter-Deimel frequently travels for lectures and master classes to America and throughout Europe. She can be reached at: potterdeimel@aon.at. ...As more adoptees demand a change in the way adoption is conducted, talked about and discussed, there is another side code switching to make adoption sound urgent, necessary and in peril of going extinct. I should clarify….international adoption. Frankly, it’s driving me crazy. Imminently, our legislators are seeking ways to pass the CHIFF legislation and their code is amazingly effective. It makes me wonder what is wrong with my brain that I seem to read their words in a completely different way than what I see. Right now, there are groups in the US who are in near hysterics about the “orphan crisis” in the world, mobilizing people to believe they must adopt, adoption is the only solution. Every time this happens, I call upon my friends and colleagues who are adopted and it does feel like we are reading another language. We don’t agree universally on every issue, but I appreciate the passionate civility we dialogue. Our code has always been with the intention to have the adopted as the center of our focus. It is clear and trusted. I asked for help and I got it. Melanie Chung-Sherman, my co-author, lives in a place that I swear speaks a different English at times. Her “Blessings” sign-off at the end of every email causes me to chuckle and I look to her to help me better understand the language religion plays in the adoption world. Living in a more secular, rather less evangelical, area has be me blind to the codeswitch. She agreed to write with me and help clarify from her perspective the code switching that happens in the world of “saving the orphan” movement that I struggle with. So, here is our list of how the code is switching in our heads. I am hoping it drives you equally mad! I am hoping when you read the CHIFF legislation and future media pieces on adoption that you may begin to see the code for yourself. child advocates- code for those in support of perpetuating and increasing the number of foreign born children being adopted to White American couples. If you read the list of supporters of the CHIFF legislation, the list of adoptee organizations and organizations internationally recognized as working for preserving children in their country/family of origin is glaringly light. orphan - a complex code word steeped in biblical meaning that has been simplified that has categorized and subsequently emotionally petitioned the adoption community into action on behalf of children in need who may or may not be legally available for adoption. It does not diminish the fact that there are children without direct care, but is overly referenced for all children who appear in need and lacking a road to Christian salvation by Western standards. At one time this terminology was antiquated, but was revived at the height of the evangelical adoption movement. rescue –to save a child in need by means of international adoption in a Westernized home (“being called to adopt”) and many times not critically considering the long-term implications for that child and first family, alternatives to permanency in-country or the possible reasons and/or methods in which a child was referred for international adoption originally. Taking on the theological salvation narrative and attempting to vertically apply to the child while overlooking the fact that adoption is about permanently building a family, not rescuing someone. resources can be reallocated to achieve more timely, effective, nurturing, and permanent familial solutions for children living without families– code for taking existing federal funds already benchmarked to promote family permanency in-country and reallocating them to ensure international adoption policy, practice, and placement is securely funded. shall lead the development and implementation of policies that will ensure the timely provision of appropriate, protective, and permanent family care for children living without families – policy codeswitch that will engender the least restrictive, fastest, and Western-centric measures to ensure international adoptive placement while deconstructing and maneuvering around current international and federal accountability standards in an effort to boost numbers of adoptions. And for the ultimate codeswitch, when we read that a piece of legislation is in keeping with the core American belief that families are the best protection for children, this really means, regardless of global cultural considerations, which include the impact of poverty, gender and social class bias, diverse social norms, as well as a country’s sovereignty, Americans still know what is best. Thus, it is only in an American family that a child can truly flourish. Christian Alliance for Indian Child Welfare (CAICW) who wish to open the floodgates AGAIN and end ICWA protections so more white people can adopt from Indian reservations...Trace]. PORTLAND, OR—Today, National Indian Child Welfare Association Executive Director Terry Cross formally requested the U.S. Department of Justice Civil Rights Division launch an investigation into the unlawful treatment of American Indian and Alaska Native children in private adoptions and public child welfare systems. Cross presented a letter on behalf of four leading national Native American organizations—the National Indian Child Welfare Association, the National Congress of American Indians, the Native American Rights Fund, and the Association on American Indian Affairs—during a meeting at the U.S. Attorney’s Office in Portland hosted by Department of Justice Acting Attorney General for Civil Rights Jocelyn Samuels.